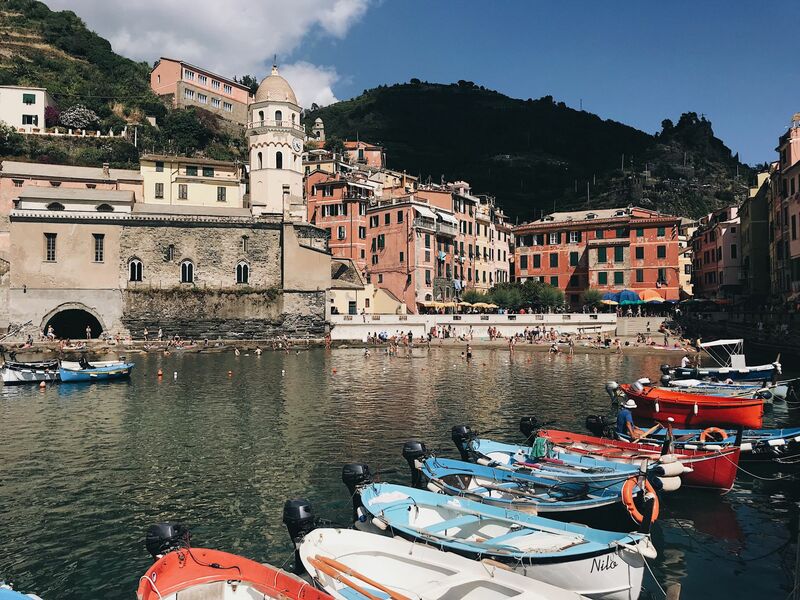 The Italian Riviera is home to the most breathtaking coastlines. 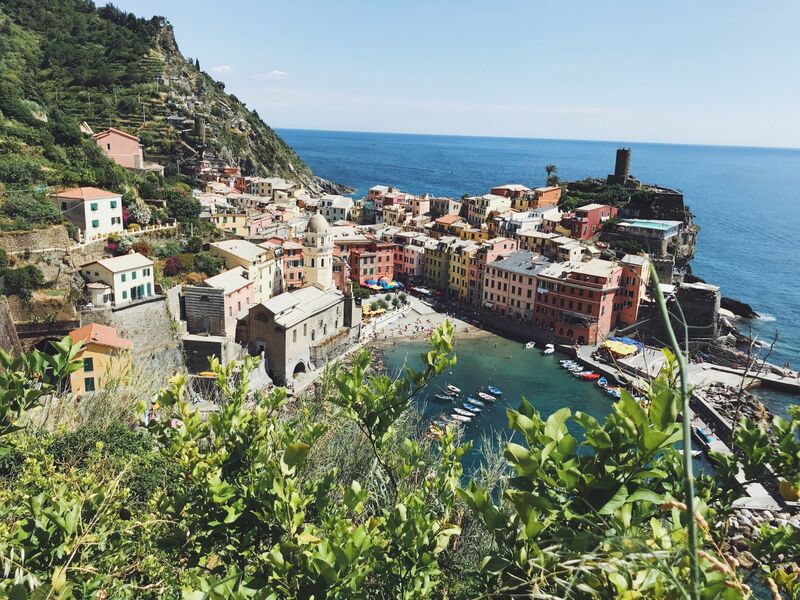 The views are arguably at their best in the region of Cinque Terre. Here five beautiful fishing villages sit isolated from the rest of the world on the edge of the cliffs. 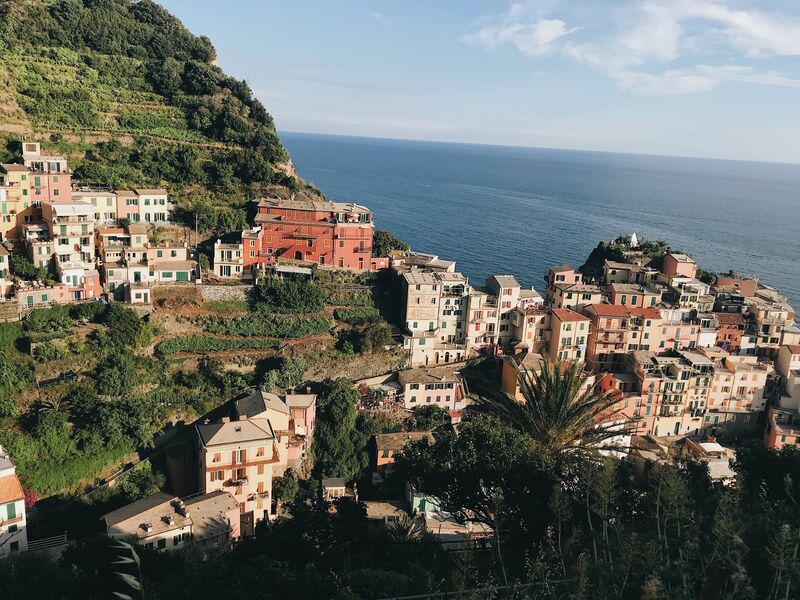 Hiking in Cinque Terre, therefore, involves uninterrupted views of the coast and the opportunity to explore tiny towns that have remained unchanged for centuries. 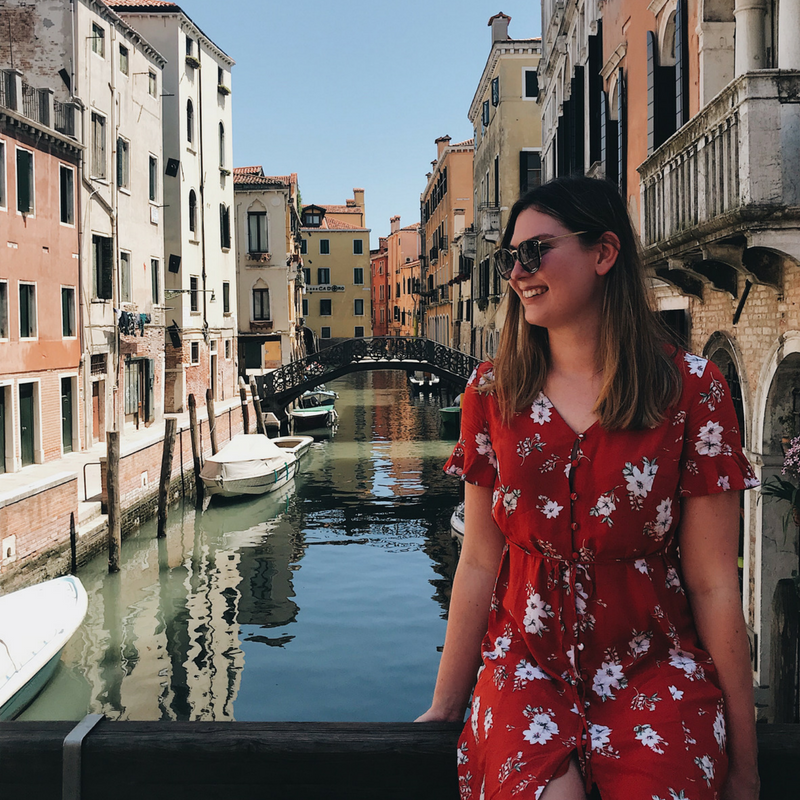 I enjoyed hiking in Cinque Terre myself when I visited the region so here’s everything you need to know! No doubt you’ve seen photos of the Cinque Terre villages but what are the practicalities of hiking between them? Well, the first fact that you should know is that it is possible to hike between them all in just one day. So there’s no need to hike with a big bag full of camping equipment! 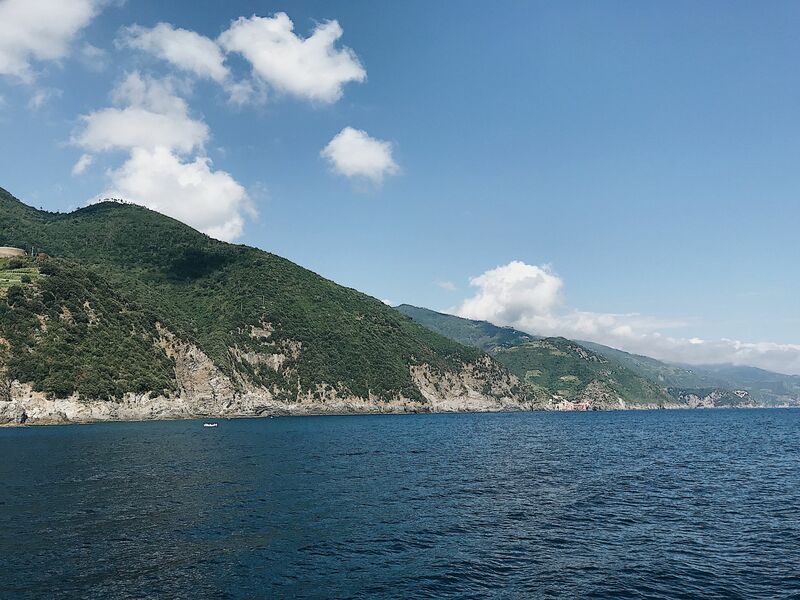 This said I visited Cinque Terre for several days and therefore found it better to split the Cinque Terre hiking trails into more manageable sections over the period I stayed. SIDE NOTE: Each section of the trail takes between 1 to 3 hours to hike. Since Cinque Terre is a national park, there are checkpoints at the beginning of its hiking trails where you have to purchase a trekking card, in order to pass. These cost €7. Therefore if you’re visiting for the day then its probably worth your while to purchase the Cinque Terre Card. This is €17 for 24hours and includes access to all the trails, along with free use of the local shuttle buses and trains. For reference, It cost €4 every time you travel between the villages using the train so the pass is definitely worthwhile, especially if you decide to skip sections of the trail and travel by train to the next village instead. Personally, I think its best to start hiking in Cinque Terre in Monterosso al Mare, finishing in Riomaggiore. Not only do the majority of the paths have fewer inclines in this direction, but it also means you’ll get to hike the trails with the best views first. Therefore if you get tired or run out of time, you won’t have to skip the best stretches. Obviously, if you’re planning on doing several different Cinque Terre Walks (like I did) you can mix up the direction you head in. For example, as the village of Corniglia is located on top of the cliffs, it’s much easier to Hike back down to Vernazza at sea level than it is to hike the opposite way. For the rest of this post, I’m going to go into more detail about the trails between each Cinque Terre town. I shall describe them in order as if you were hiking from Monterosso al Mare all the way to Riomaggiore. First up this Cinque Terre walk will take you between Monterosso and Vernazza and it’s probably the most scenic part of the whole trail. Although relatively flat and easy going most of the way, this section does start with a climb up a good few steps. However, once you reach the top, the views back over Monterosso and the Cinque Terre coast are amazing! Whats more, the perspective you get over Vernazza as you reach the village is spectacular. In fact, it’s probably the most iconic view of Cinque Terre. As I briefly mentioned above the Hike from Vernazza to Corniglia is probably one of the most difficult legs due to the large amount of uphill walking that is required. I have to admit to giving this section of the trail a miss on my own visit, but those who have hiked it do suggest that the view you get as you approach Corniglia is more than worth the extra effort. 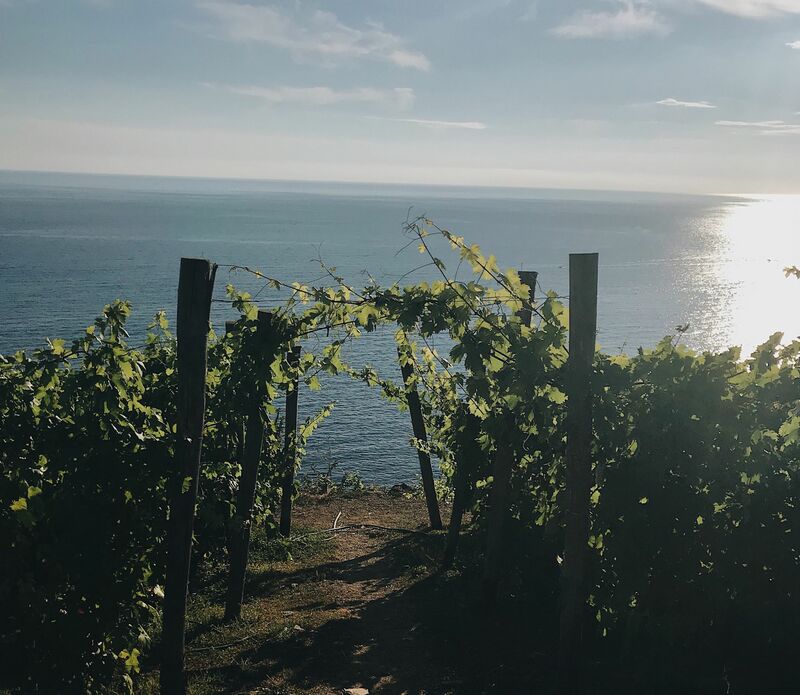 TOP TIP: If you’re hiking in Cinque Terre in the summer, its best to hike in the early morning or late evening as the trails can get both hot and busy during the day! Unfortunately, the coastal path (Sentiero Azzurro) between these two villages is currently closed due to a landslide. Therefore instead you have to take the 586 red trail that goes inland and passes through the small village of Volastra. The start is again the hardest here, it’s a solid 20-30 minutes up steep steps and let me tell you how glad I was to reach the top of them!! After this, however, the rest of the trail is pretty even. 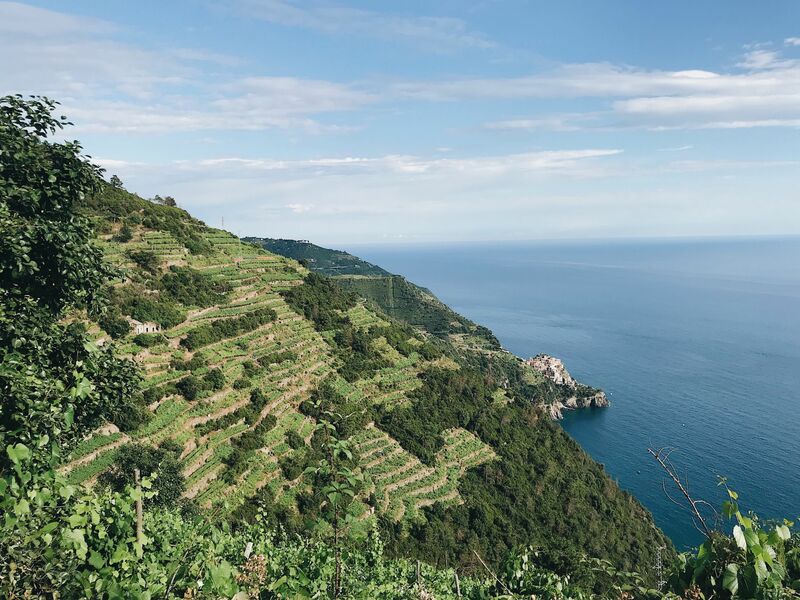 As you get closer to Manarola it also cuts through pristine vineyards that locals have worked on for centuries. Then when you reach the town you get a brilliant perspective over it. Different from Manarola’s classic image of its stacked buildings on the seafront but equally as beautiful. I must warn you though that the climb back down into the village is pretty intense so watch your footing! ‘Lovers Lane’ (a wide and flat concrete path) used to link the last two Cinque Terre villages together. However, this is also currently closed. The alternative route here is steep and difficult and I’d, therefore, recommend skipping it unless you’re a confident walker. If you only want to do one shorter hike than I’d suggest going from Monterosso to Vernazza. As I said above this section has the best coastal views, and the outlook over Vernazza is stunning! 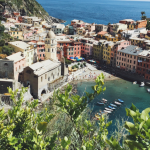 Hiking in Cinque Terre looks impressive and the fun fact that you can hike it in one day, well multi-day hiking has their benefits. 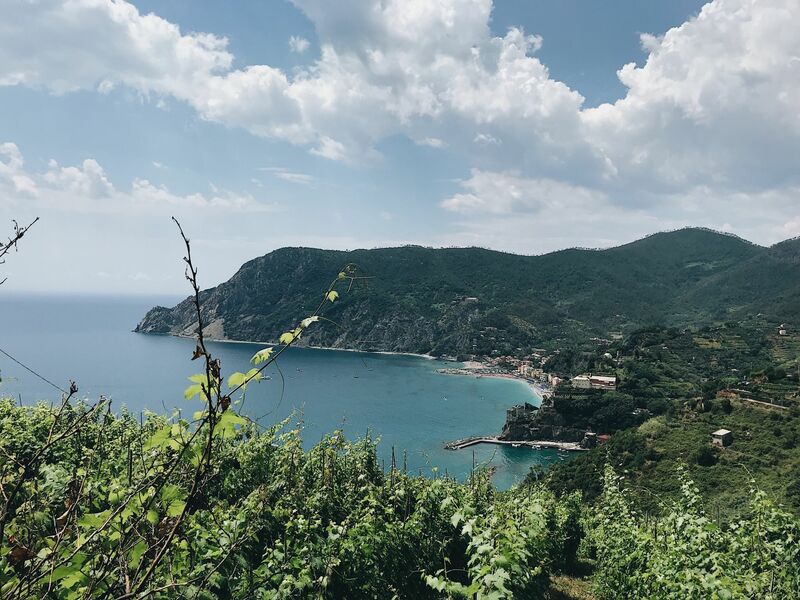 But a single day hike is also an excellent choice when someone is short on time, Well as for someone like me who want to hike to explore the beauty and the view, thanks for mentioning to start off the hiking from Monterosso al Mare to catch all the amazing view at the start. Keep up the good work. Cinque Terre is so amazingly beautiful! 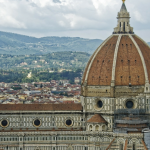 It is on the bucket list when we travel to Italy. We love to hike and there looks to be no prettier place. Oohh Cinque Terre! I’m coming to conquer you. Thanks for sharing this guide. Hello, Rachel! Me and my wife go hiking every year 2-3 times and Cinque Terre was our destination last year. Great place, beautiful views and fantastic experience! We was there, when there was some celebration and that was so much fun! Thank you for sharing your experience! it’s really awesome. I love hiking in Cinque Terre. Most beautiful view of the ocean seems very peaceful for eyes. Trekking and hiking do not just to tour its totally full of the learning experience. I ve a great experience on k2 base camp trek. it’s really wonderful.